There are some thing you’ll simply never see anywhere other than in Las Vegas. 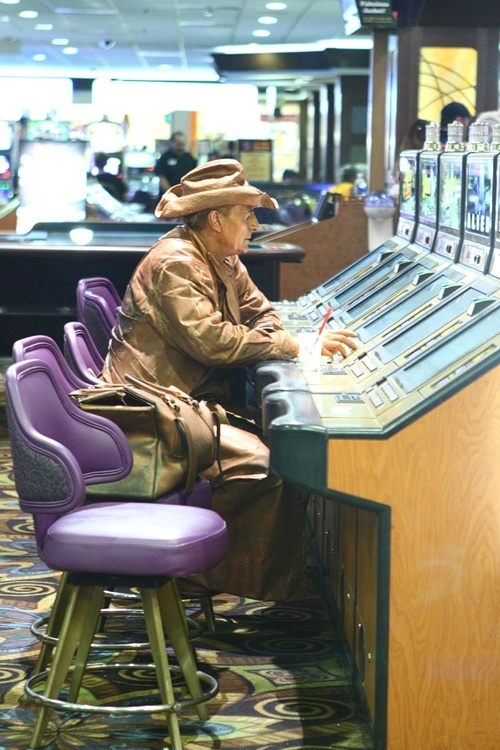 We think this bronze cowboy trying his luck at a slot machine qualifies. Ever feel stiff after playing slots awhile? Yeah, him, too. 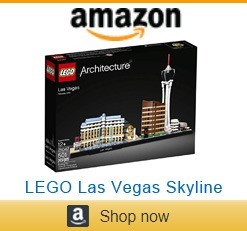 This entry was posted in Las Vegas, Las Vegas WTF on July 31, 2013 by Scott Roeben. We may just have a new activity to top our “Best Things to Do in Las Vegas” list! 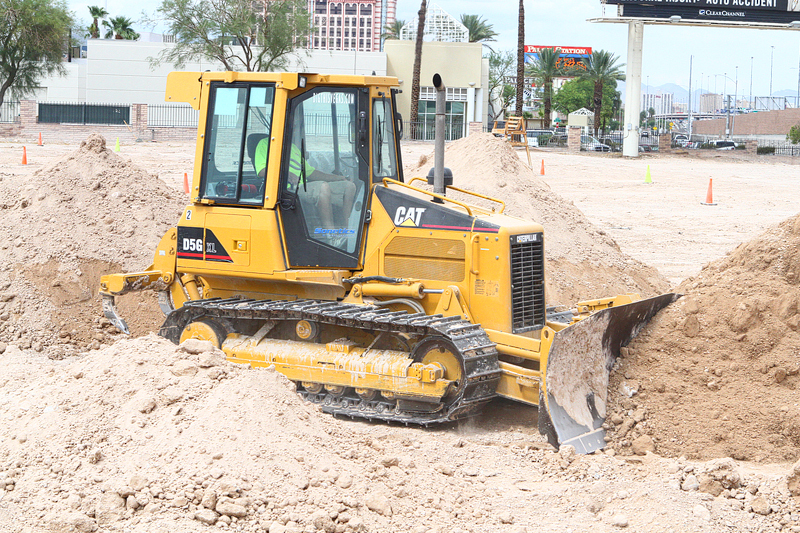 Dig This offers an only-in-Vegas opportunity to operate large machinery—specifically, excavators and bulldozers—solo. 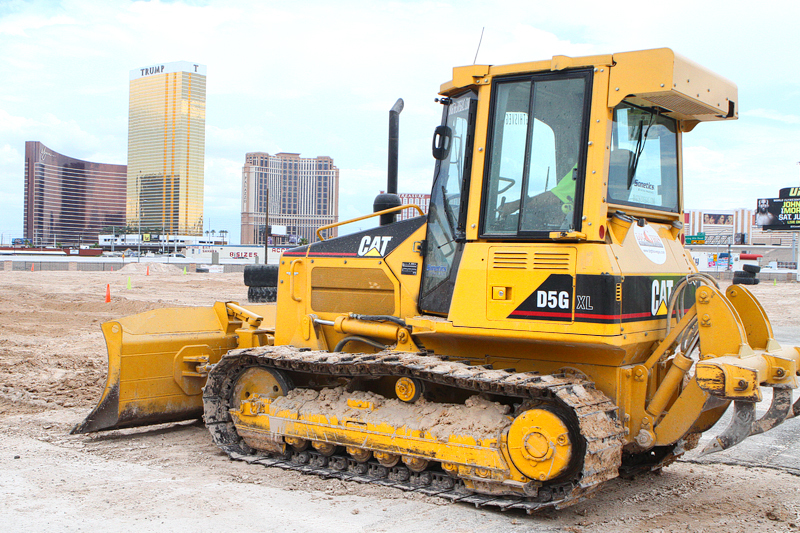 Las Vegas is already considered an adult playground, and Dig This turns it into a literal one. When it comes to Vegas attractions, we’ve got all the scoop. See what we did there? 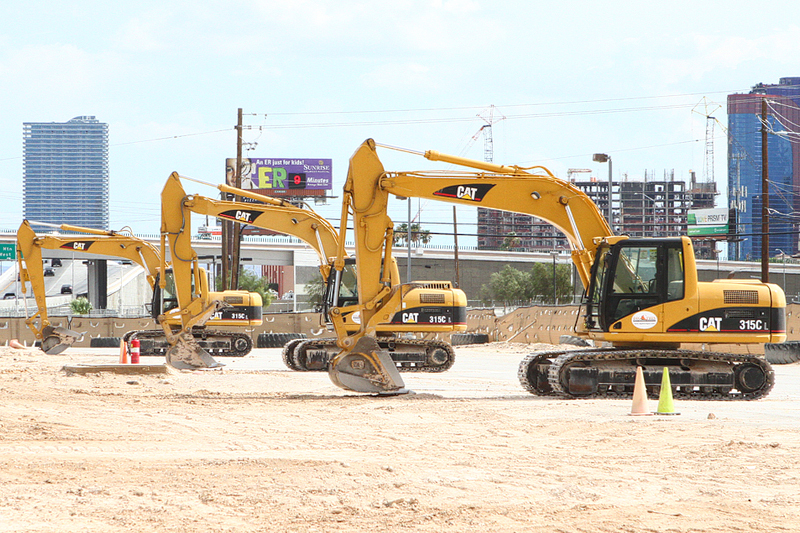 Here’s the dirt: Not far from The Strip, five acres of fun await. 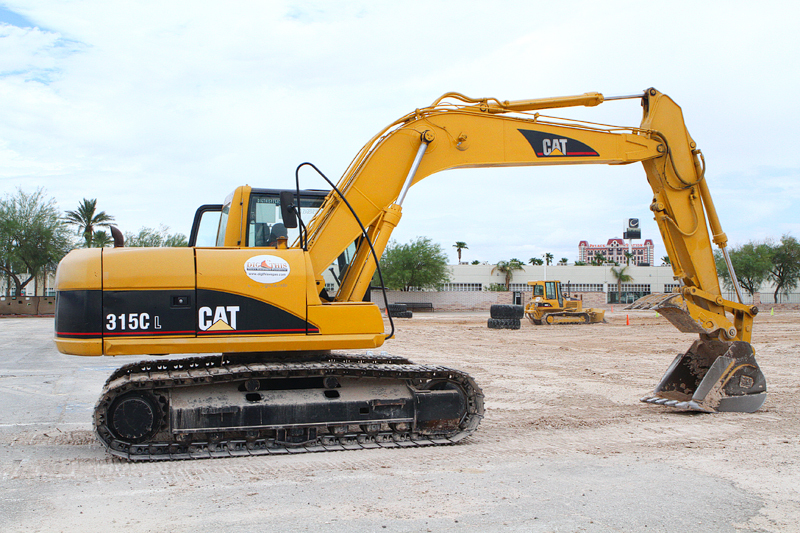 Visitors are briefly trained on two pieces of heavy equipment, a hydraulic excavator or track-type bulldozer, then they set out to dig, push, lift and maneuver through a series of challenging but exhilarating tasks. Told you it was close to The Strip. A couple of caveats for potential Earth-movers: Guests must be 14 or older. There’s no hand-holding here, you’re operating these machines solo (with expert guidance through headphones). 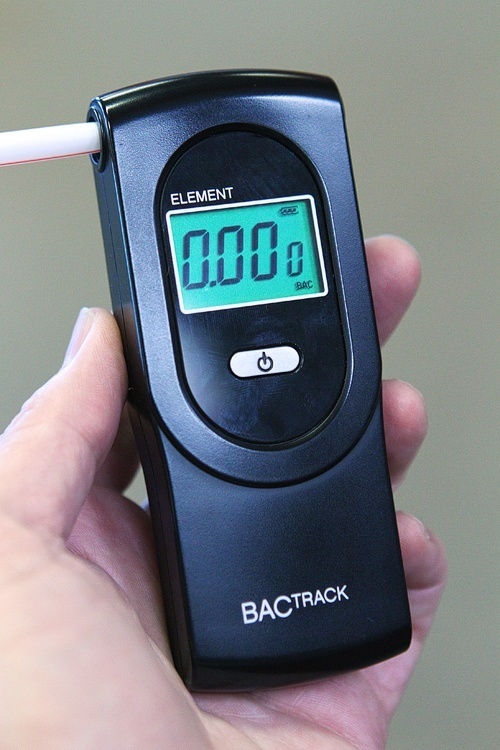 Also, since it’s Las Vegas, Dig This requires guests take a blood-alcohol test. Sadly, we had no alcohol in our system. We have no idea how that happened. 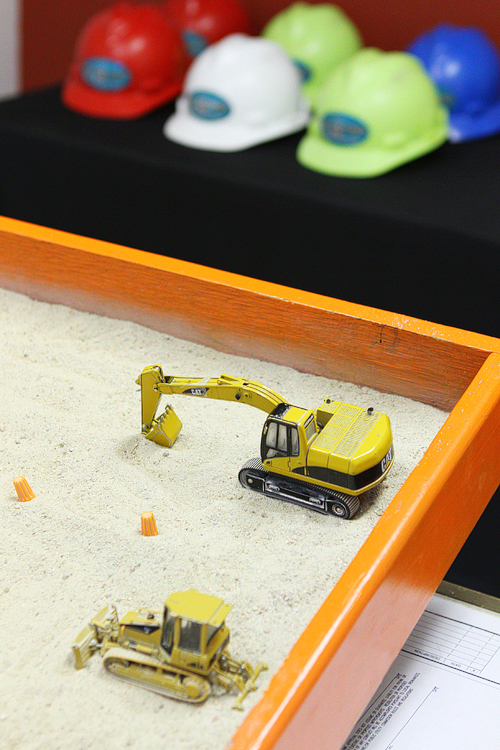 Seasoned veterans use miniature versions of the machines to illustrate the basics before heading out to play. The training helps get past the jitters. Not that we’d have those. No way. Then it’s time to jump on board your machine of choice and experience the thrill of controlling thousands of pounds of sheer power. Here’s a look at some of the fun to be had. Your adrenaline will be pumping a mile a minute, that’s for sure. 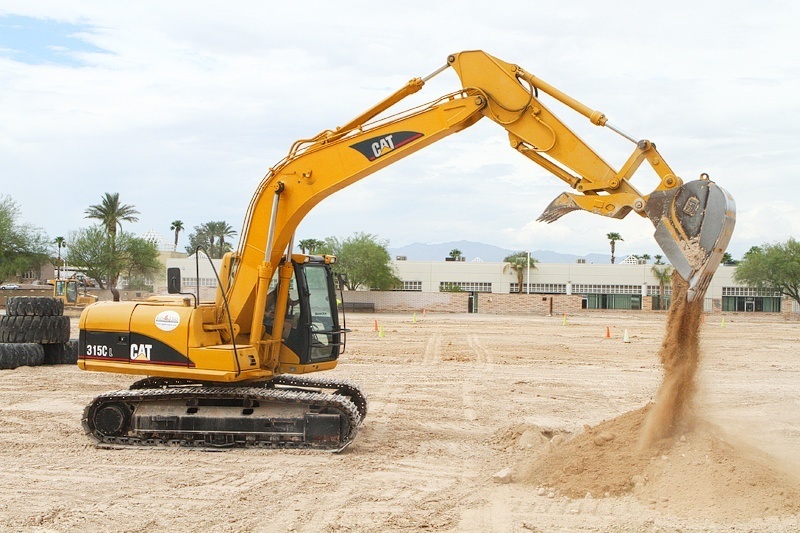 Excavator activities, for example, include digging a 10-feet-deep trench, lifting and stacking 2,000-pound tractor tires, doing an excavator “push up” (tilting the excavator’s cabin up by pushing down with its massive arm) and picking up basketballs and making baskets with them! 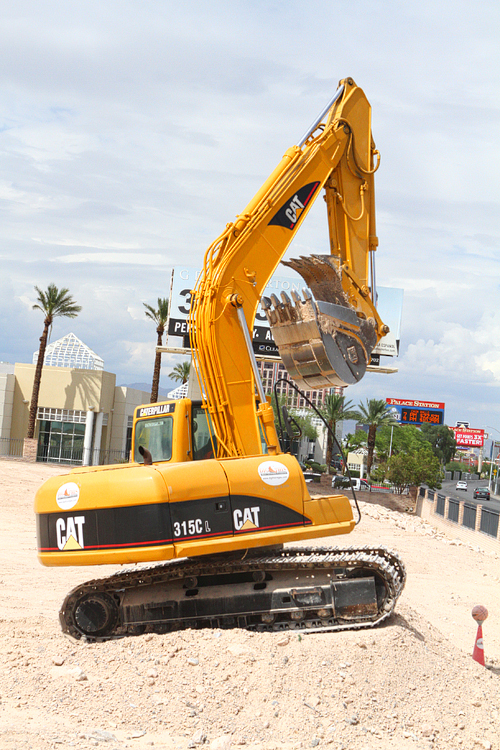 The “thumb” is on top, above the “bucket.” We’re all over this excavating business. Oh, and it should be mentioned our instructor Roger (below) was awesome. Knowledgeable, patient, and never once had to use the emergency engine kill switch each instructor keeps around their neck. It was reassuring knowing he had it, though. Roger doubles as a photographer! 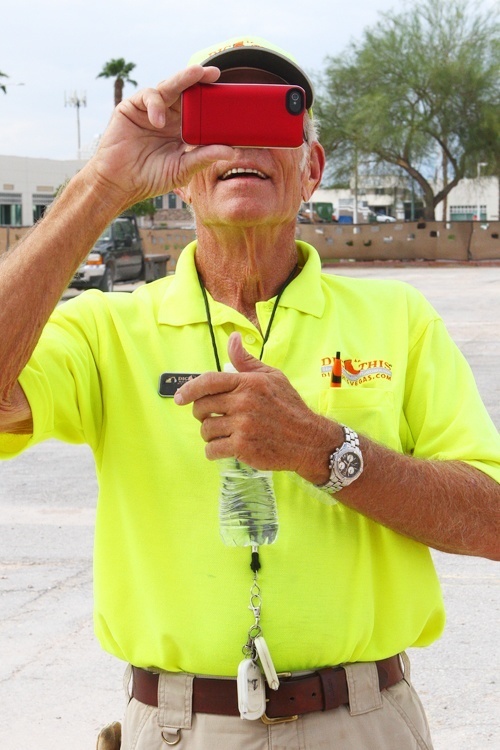 Once the session is complete, your instructor presents a certificate to memorialize your Las Vegas adventure. We’re not the only ones who love this attraction. Dig This also gets rave reviews on TripAdvisor. Take a look. 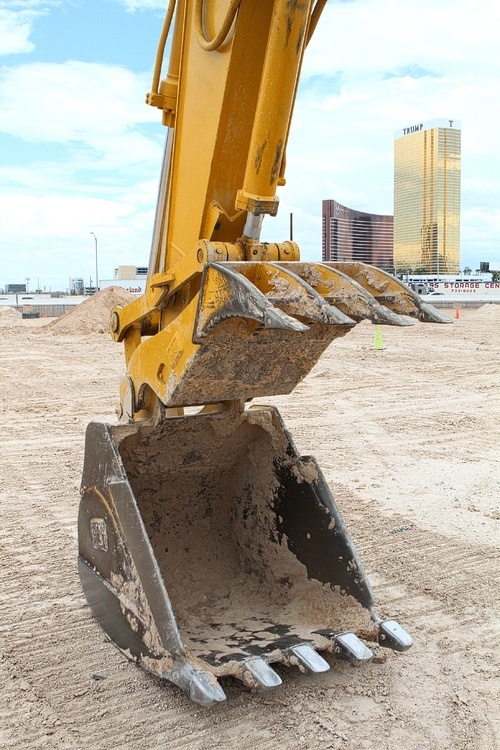 The typical Dig This session runs $250, which might feel a little steep until you realize you’re driving a flipping excavator! Learn more at the official Dig This site. 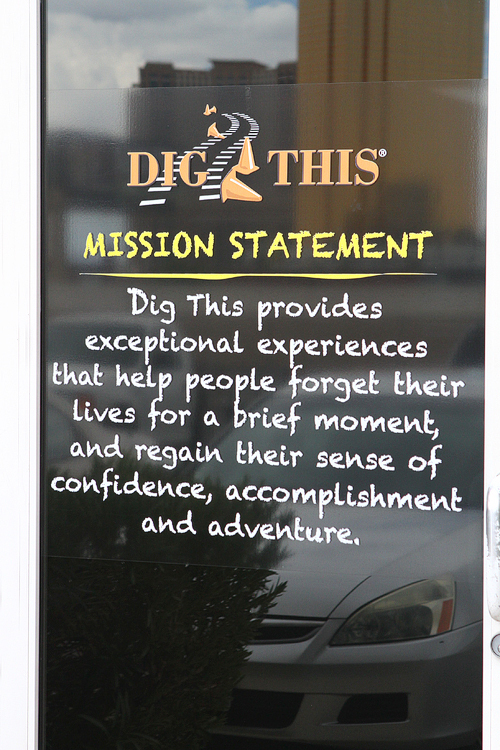 Thanks to Roger and the whole crew at Dig This for hosting our day in the sandbox. 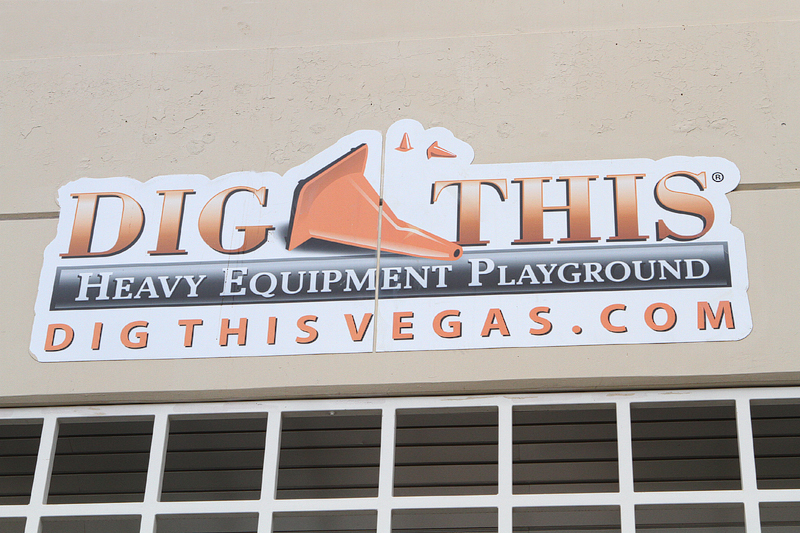 Dig This is definitely a Las Vegas must-go. Enjoy a few more photos in our exclusive gallery, which makes it sound much more alluring than it really is, granted. 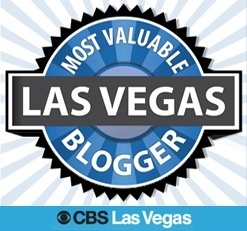 This entry was posted in Las Vegas, Things to Do in Las Vegas on July 31, 2013 by Scott Roeben. Las Vegas seems to do everything on a grand scale, and the lobby at The Venetian is no different. The Italian-themed lobby at The Venetian is one of the most impressive in Las Vegas, and it’s free to stop and gawk. 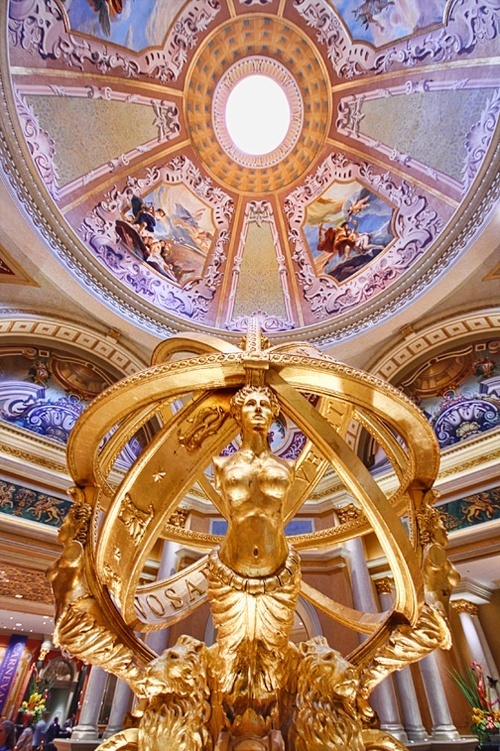 Trust us, Las Vegas is home to some world-class gawking! 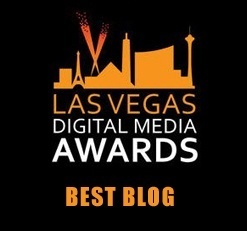 This entry was posted in Las Vegas, Las Vegas Hotels, Things to Do in Las Vegas on July 29, 2013 by Scott Roeben. 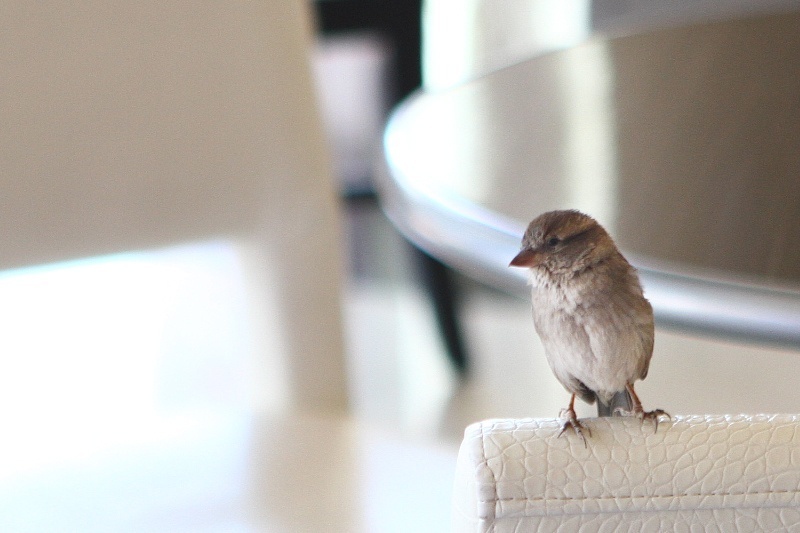 One of our favorite Las Vegas discoveries in recent months involves a hotel bar and a bird. The bird’s name is Franklin. 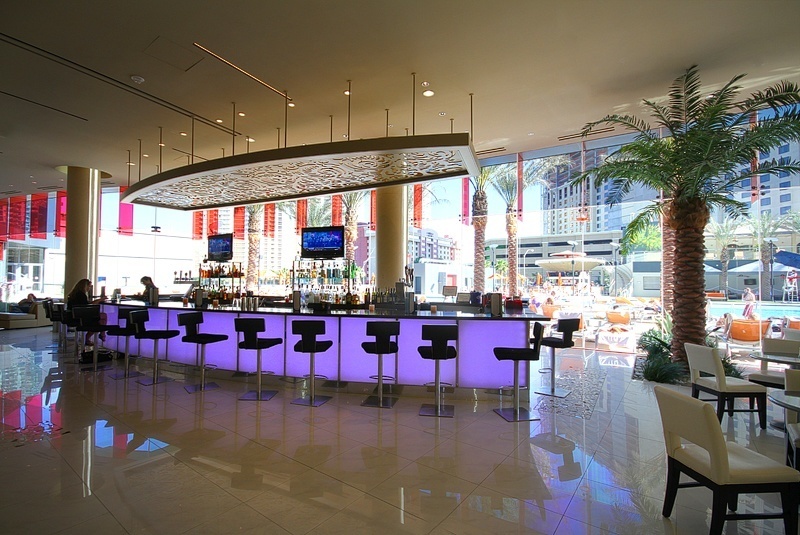 See, for the last three years, Franklin has taken up residence at the lobby bar inside the Elara Resort, formerly called Planet Hollywood Towers. Yes, inside. At first, we thought Franklin had flown inside by accident. It was no accident. 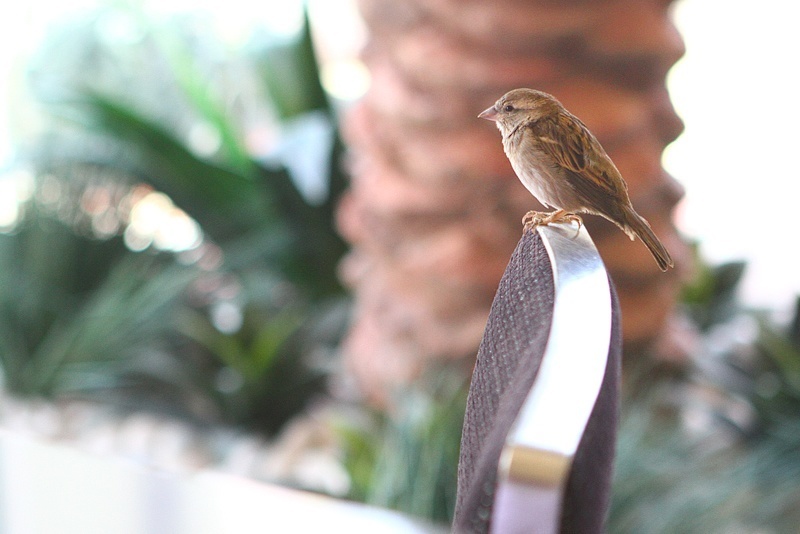 His nest is in one of the faux palm trees that looks out over the Elara’s pool, and he’s also got a bird’s eye view (ahem) of shoppers inside the adjoining Miracle Mile Shops. Patrons and bartenders at the lobby bar feed Franklin, and when bartenders they leave a faucet running, he’ll sometimes swoop in for a sip. We’re pretty sure Franklin is a House Sparrow. They’re sexually dimorphic. We don’t know what that is, but you go, Franklin. Franklin’s become the unofficial mascot of the bar, and he doesn’t appear to be interested in leaving the bar anytime soon. Why would he? Free food. Free beverages. Views of bikini-clad babes. Franklin might be a bird, but in Vegas terms, he’s a whale. There’s a lot to love about Las Vegas and casinos, but sometimes it gets awkward. You know, like having daycare services and video arcades inside casinos. 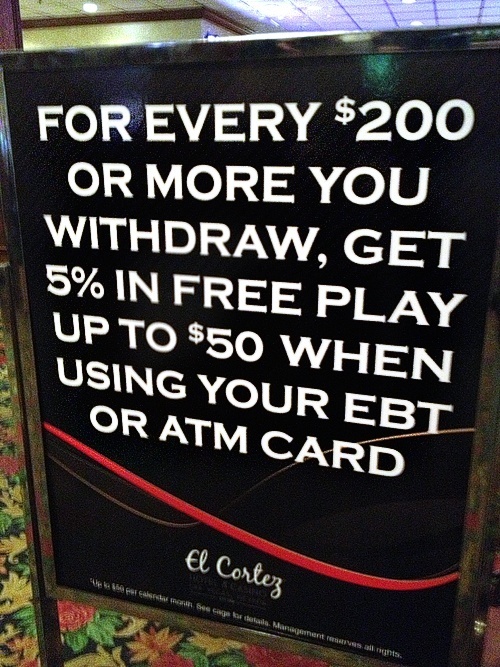 Today’s awkwardness comes from El Cortez, downtown. If you’re not cringing, and you’re not in casino marketing, you’re doing it wrong. It starts out awkward by encouraging people to withdraw more using their ATM card, but gets entirely WTF with the mention of EBT cards. Why? Electronic Benefit Transfer, or EBT, is the system used by state welfare departments to issue benefits by way of a benefit card. Courting welfare recipients, are we? Shameful. And while a casino might claim it’s just helping people do what they’re already going to do, this practice makes us feel like we need a Silkwood shower. This entry was posted in Downtown Las Vegas, Gambling, Las Vegas Casinos, Las Vegas WTF on July 29, 2013 by Scott Roeben. It’s a Las Vegas cocktail like no other. It’s the Verbena at The Cosmopolitan. Innocent-looking little bugger, isn’t it? The “Szechuan Button” goes by many names, including “buzz button,” paracress, “toothache plant” and its botanical name, Acmella oleracea. When you chew it, the sensation is like having a sparkler in your mouth, but without the second degree burns. It numbs. It tingles. It’s an explosion of sensation, and you haven’t even gotten to the liquid part of the cocktail yet. Apparently, there’s a compound called spilanthol at play. It sets off a reaction along the trigeminal nerve pathway, whatever that might actually be. Fancy explanations aside, this is a not-to-be-missed Las Vegas experience. How do you pronounce Verbena, you wonder? Yes, there’s a YouTube video for everything. Because everyone’s got coconut ginger rooibos tea sitting around. Not to mention buzz buttons. 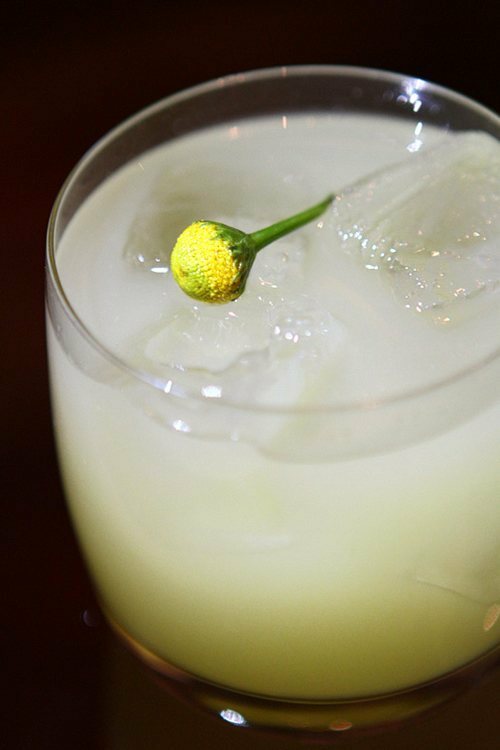 Give this memorable cocktail a try and let us know what you think! 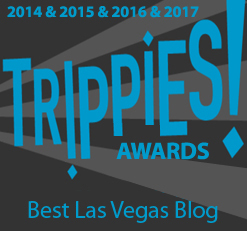 This entry was posted in Las Vegas, Las Vegas Casinos, Las Vegas Hotels, Things to Do in Las Vegas on July 26, 2013 by Scott Roeben.